Fury will take on many forms in Darksiders III and we just got a look at one of them. A trailer has revealed a Force Hollow form for her to use, which allows her to pack a bit more of a punch with a hammer, rather than a whip. Watch Fury glow purple in all her Force Hollow glory. 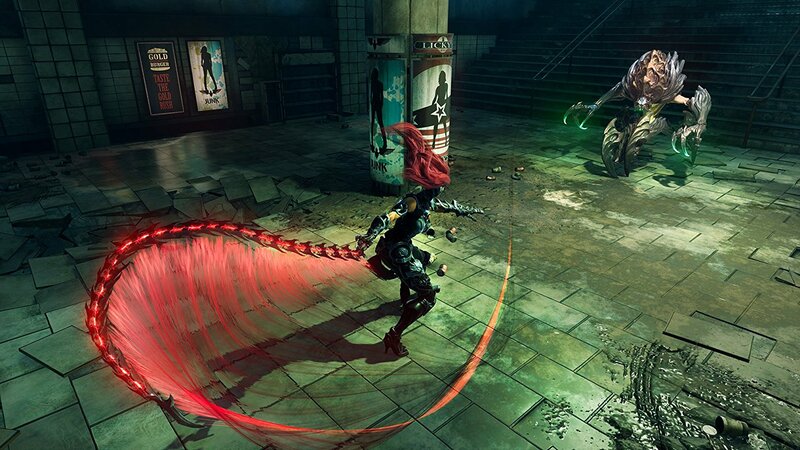 This quick trailer is filled with all the whip-filled combos we’ve come to expect from Darksiders III, but we also see Fury deviate from her go-to weapon as she swings a giant purple hammer. The most jarring moment of this trailer is when Fury scales a wall as the adjacent rocks orbit around her, one of the attributes of the Force Hollow. The Force Hollow allows Fury the collection and precise focusing of energy into concentrated attacks. With Scorn taking on the appearance of a giant hammer, Fury can shatter her enemy’s defenses and inflict severe damage. Scorn can also act as a focal point for magnetic attraction—allowing Fury to draw in energy, rubble, and even enemies, before releasing it all in a single explosive burst. With great effort, Fury can even maintain this magnetic sphere to traverse walls and ceilings. With gameplay being the main focus of Darksiders III, the experience seems to be rather active. On that note, hopefully we’ll see a few more of Fury’s forms before Darksiders III releases on November 27, 2018 for the PlayStation 4, Xbox One, and PC.